The classy new Aster Chevron smartphone from Vertu is packed with features and is offered in pink, blue and black variants. Vertu is known all around the world for developing the world’s best luxury smartphones that are engineered to perfection. The company aims to provide a seamless luxury mobile experience to its customers by merging excellent craftsmanship and top quality raw materials with inventive technology. The mobile phones launched by this company are sold in three different models – Signature, Signature touch and Aster. The Aster Chevron Collection is the newest addition to their stunning line of products and is created from top quality canvas material and includes variants in pink, blue and black. The new handset is a flawless union of excellent design and advanced technology, and includes a titanium chassis and a sapphire crystal screen. The name Chevron comes from the famous pattern inspired by the Vertu logo, which is woven into an Italian canvas fabric to form the eye-catching exterior of the phone. The phone has a wrap-around design that ensures that the chosen exotic skin or leather casing wraps neatly around the Aster. The Aster Chevron features a 13 megapixel Hasselblad camera, performance centric Qualcomm® Snapdragon™ 801 2.3GHz quad core processor that will accomplish any task at hand effortlessly, and a unique set of ringtones and alert tones that are developed exclusively for this device by celebrated composers and executed by the London Symphony Orchestra. Packed with the Android™ 5.1 (Lollipop), this device has a 4.7” 1080p, brilliant, high contrast display at 473dpi that is enhanced by the sapphire crystal finish. It comes with 64GB of internal memory and boasts of a high-fidelity stereo sound. The device is sold with 13mm x 18mm loudspeakers with Dolby® Digital Plus surround sound decoding support so when you are in the mood for a party you need no other music system around. The built-in 2275mAh Li-ion battery guarantees that the mobile phone lasts throughout the day with a talk-time of 15 hours 30 minutes (WCDMA) and a stand-by time of up to 380 hours. Created from the finest raw materials, each Vertu mobile phone is handmade and assembled by an expert craftsman in England. Vertu phones are available in more than 500 stores in 66 countries that include 70 Vertu Boutiques. 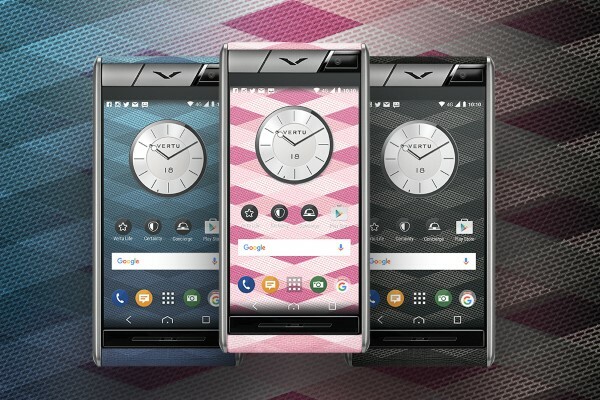 The new Vertu Aster Chevron is available in any of these Vertu boutiques or stores and on Vertu.com at the price of 3900€. Tagged Big Boys' Toys, Gadgets, LifeSpice, luxury smartphone. Bookmark the permalink.